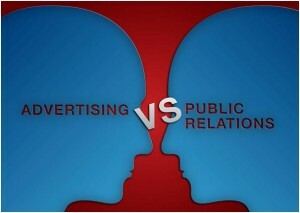 Public relations is, in fact, the complete opposite of advertising. Advertising requires you to pay if you want your name or message to be placed in specific newspapers, Television or radio at a desired location or at a given time. On the other hand, in public relations, the article featuring your company’s name or message is not paid for. The reporting agent broadcasts or prints, about your company as a result of information that s/he received and researched. However, publicity is known to be more impactful than advertising. Publicity turns out to be more cost efficient than advertising. Though it is not totally free, the major expenses are the phone calls and mails done to the media sources. The impact of publicity is for a longer duration in comparison to advertising. An article about your business will sustain longer in the memories than an ad. Publicity can reach a wider audience than advertising. Often, the story might get picked by the national media, thus spreading the word about your business all over the nation. Publicity holds greater credibility with the public than advertising. Most readers feel that if some magazine that is not related to your contacts is mentioning your company, then your company must be doing something that is noticed by the reporters of that magazine or newspaper. As the company progresses, it becomes a prominent component of the community as well as the industry. That implicates that what the firm is doing is automatically worthy enough to be noticed. This is great opportunity to use Public Relations as a crucial part of your marketing strategies. This opportunity is can be an excellent chance of getting the exposure for which you don’t have to pay anything. By the phrase “ don’t have to pay anything” we mean that there is no direct paying. There may not be a requirement for writing a check to the publisher or the broadcaster and also PR does not happen without consistent efforts. Positive or progressive publicity requires mindful planning and often spending of money. The money is basically for the press release, mailings, PR consultants and copywriters. If a reporter rejects the idea that you have thought after hours or days of brainstorming, you may ask if the reporter can give you any valuable recommendations, or if they know another reporter who might be interested in this idea. Prepare what will you be saying to the reporter before you telephone him or her. It is advisable to write down what you have in mind on a paper in front of you so that you can interact with confidence and control the conversation. Compliments work really well. IF you have read any story of the reporter, then let them know instantly. This also works well to catch the attention of the reporter towards your idea. The key is to be persistent in your efforts. It is unlikely that everybody will be interested in your story and would come running to cover it. You need to give it time. If the idea is rejected by a few, try to find out the reasons for rejection. Then use these reasons to improve the or rethink the idea for the next story. Planning for the publicity is as important as planning the rest of your business. When your company gets featured in the news and the media is spreading the name or message to the nation, you would know that your strategies are working well.